There’s seems to be no shortage of medical breakthroughs these days! Whether it’s bionic limbs, 3-D printed prosthetic devices, bioprinting, new vaccines and medicines, nanoparticles, or embedded microsensors, researchers and medical scientists are bringing innovation and technological advancement together to create new possibilities. And in recent months, two breakthrough in particular have bbecome the focus of attention, offering the possibility of smarter surgery and health monitoring. First up, there’s the tiny bladder sensor that is being developed by the Norwegian research group SINTEF. When it comes to patients suffering from paralysis, the fact that they cannot feel when their bladders are full, para and quadriplegics often suffer from pressure build-up that can cause damage to the bladder and kidneys. This sensor would offer a less invasive means of monitoring their condition, to see if surgery is required or if medication will suffice. Presently, doctors insert a catheter into the patient’s urethra and fill their bladder with saline solution, a process which is not only uncomfortable but is claimed to provide an inaccurate picture of what’s going on. By contrast, this sensor can be injected directly into the patients directly through the skin, and could conceivably stay in place for months or even years, providing readings without any discomfort, and without requiring the bladder to be filled mechanically. Patients would also able to move around normally, plus the risk of infection would reportedly be reduced. Currently readings are transmitted from the prototypes via a thin wire that extents from the senor out through the skin, although it is hoped that subsequent versions could transmit wirelessly – most likely to the patient’s smartphone. And given that SINTEF’s resume includes making sensors for the CERN particle collider, you can be confident these sensors will work! Next month, a clinical trial involving three spinal injury patients is scheduled to begin at Norway’s Sunnaas Hospital. Down the road, the group plans to conduct trials involving 20 to 30 test subjects. Although they’re currently about to be tested in the bladder, the sensors could conceivably be used to measure pressure almost anywhere in the body. Conceivably, sensors that monitor blood pressure and warn of aneurisms or stroke could be developed. Equally impressive is the tiny, doughnut-shaped sensor being developed by Prof. F. Levent Degertekin and his research group at the George W. Woodruff School of Mechanical Engineering at Georgia Tech. Designed to assist doctors as they perform surgery on the heart or blood vessels, this device could provide some much needed (ahem) illumination. Currently, doctors and scientists rely on images provided by cross-sectional ultrasounds, which are limited in terms of the information they provide. 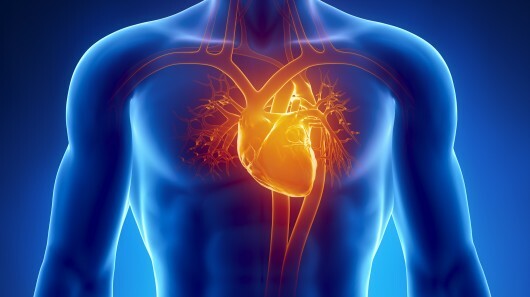 If you’re a doctor, you want to see what is going on inside the arteries and inside the heart, but most of the devices being used for this today provide only cross-sectional images. If you have an artery that is totally blocked, for example, you need a system that tells you what’s in front of you. You need to see the front, back, and sidewalls altogether. That’s where their new chip comes into play. 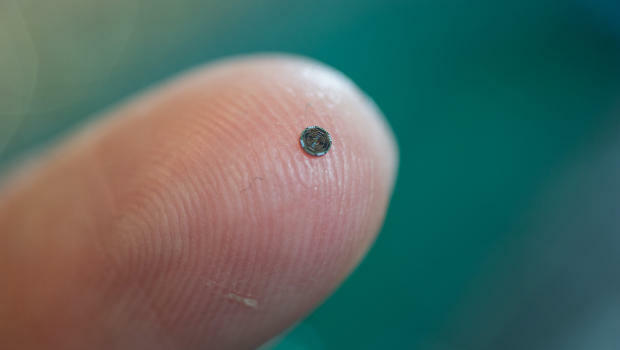 Described as a “flashlight” for looking inside the human body, it’s basically a tiny doughnut-shaped sensor measuring 1.5 millimeters (less than a tenth of an inch) across, with the hole set up to take a wire that would guide it through cardiac catheterization procedures. 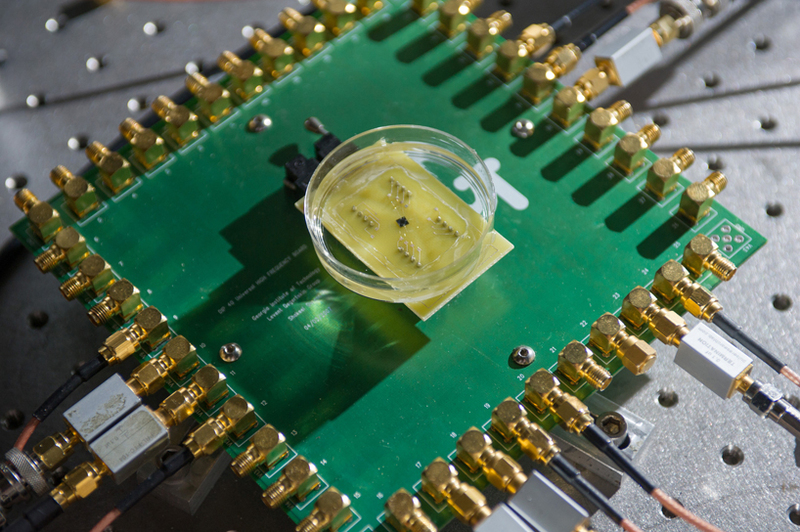 In that tiny space, the researchers were able to cram 56 ultrasound transmitting elements and 48 receiving elements. Our device will allow doctors to see the whole volume that is in front of them within a blood vessel. This will give cardiologists the equivalent of a flashlight so they can see blockages ahead of them in occluded arteries. It has the potential for reducing the amount of surgery that must be done to clear these vessels. Next up are the usual animal studies and clinical trials, which Degertekin hopes will be conducted by licensing the technology to a medical diagnostic firm. 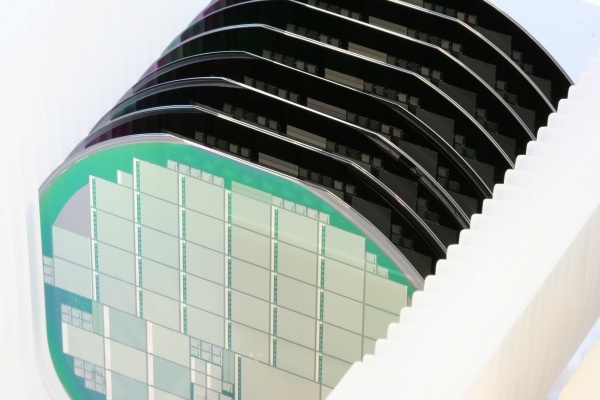 The researchers are also going to see if they can make their device even smaller- small enough to fit on a 400-micron-diameter guide wire, which is roughly four times the diameter of a human hair. 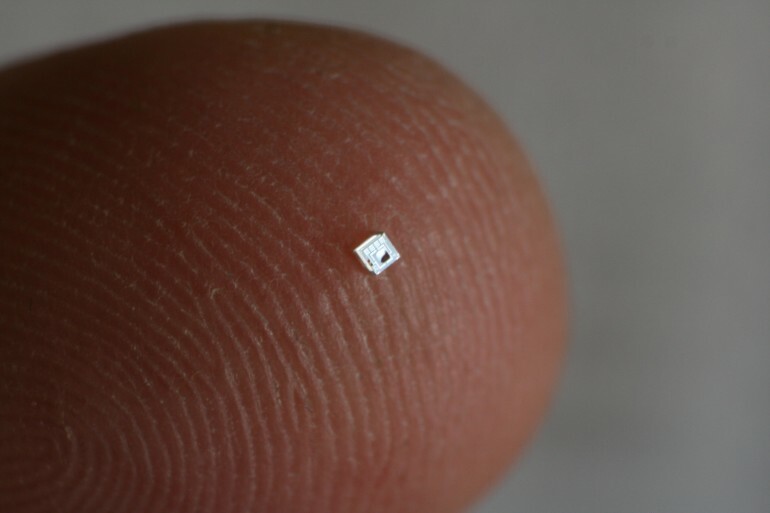 At that size, this sensor will be able to provide detailed, on-the-spot information about any part of the body, and go wherever doctors can guide it. Such is the nature of the new age of medicine: smaller, smarter, and less invasive, providing better information to both save lives and improve quality of life. Now if we can just find a cure for the common cold, we’d be in business! Latest Anthology Sample: Ember Storm! News in Bionics: Restoring Sensation and Mobility! What we need here is a remedy for high levels of indoor dust and dander, that makes you feel like you have a cold, until you look at the weather report and see red alerts – and this is beautiful pristine Alaska!